The Egyptian Ministry of Communications & Information Technology continues to demonstrate its progressive approach to leveraging the powers of ICTs for sustainable development. Understanding the crucial role the ICT sector plays in the socioeconomic development and advancement of the nation, the Egyptian administration is keen on promoting the development of the sector and its services, paying close attention to the digital rights of citizens and the concept of equitable and affordable access to knowledge. The ICT sector has witnessed double-digit growth over the last two years. It is now the number-one Egyptian sector in terms of year-on-year growth, which has increased by 12.5%, making it more attractive to investors. Its contribution to GDP is currently 3.5%, and it is the leading sector when it comes to attracting foreign direct investment. Egypt’s ICT sector spearheads the government’s programme for the country’s digital transformation. The government, through its development agencies, facilitates numerous incentive schemes for investors and technology developers interested in being part of Egypt’s technology progress. Recent investments have consisted of creating electronic design centres, manufacturing facilities and large data centres. Because of this, Egypt continues to be a destination of choice for IT and knowledge process outsourcing. Due to a number of recent financial reform efforts and the new Investment Law, which gave Egypt a much-needed competitive boost, the future looks promising and favorable. There is currently a strategic plan under implementation and central to this plan is for Egypt to become consistently competitive on both the regional and global technology scenes. The focus is to specialise in training and technologies that will support Egypt’s planned digital transformation. Home-grown smart technologies aim to be an integral part of our transformation as we are at a stage where producing local innovation, rather than importing it, is essential. Our technology zones offer an environment that embraces innovation and incubation, while also offering training opportunities. MCIT and its affiliates manage three flagship programs initiated by President Abdel Fattah el-Sisi: Electronic Initiative (EME), Next Technology Leaders (NTL), and Tech-Parks. This series of newly launched national programs seek to make the electronic industry act as a key enabler for growth and increase the capacity of young people to make an impact in their communities. They also power innovation and entrepreneurship, and enhance employment opportunities, especially for marginalized youth through appropriate training and skills building. 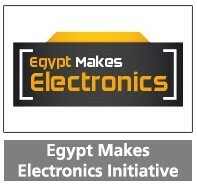 To make the electronics industry one of the key props for the growth of the Egyptian economy and the main contributor to doubling of Egyptian exports, to reduce imports of electronic and electrical appliances for the domestic market, and to provide hundreds of thousands of jobs for researchers, engineers, skilled technicians, and workers. EME works through two axes of action. The first is the design and development of electronic circuits and systems with high added value, and the second is the labor- intensive manufacturing of electronics. The objectives of this initiative is building capacity and certifying young calibers on the recent advances in communication and information technologies; Increasing the competitiveness of local ICT companies by facilitating their training and capacity building plans; Supporting creation of job and business opportunities for the youth through wage employment, freelancing, or startup establishment; and Forming nationwide mentoring and review networks in leading technologies to act as platform for fostering innovation and entrepreneurship. This takes place by registering and accessing top online courses that cover modern ICT technology domains. The courses are offered by prestigious Universities in collaboration with industry leaders, and are available through top online learning platforms like Coursera, edX, and Udacity. 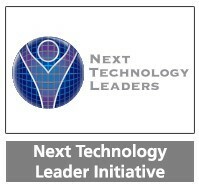 The NTL initiative offers grants to develop young talents’ technical skills through these learning tracks. The government of Egypt is eager to establish technology parks across the nation to provide a supportive environment for the development of the national ICT industry, and boost Egypt’s reputation as a provider of world-class ICT and outsourcing services. 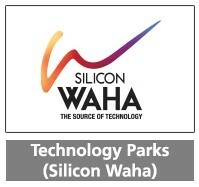 Technology parks promote national growth in ICT-related fields while providing a number of benefits to member companies and organizations. These benefits include access to shared resources, such as uninterruptible power supply, high-speed telecommunications connections, security, management offices, convention facilities, parking, retail outlets, and entertainment and sports facilities. In addition to reducing overheads for hosted companies, these parks foster links between industry and academia and provide an ideal environment for incubation centers. Such efforts come in the framework of fostering fair access to technology nationwide. Technology Parks are the main instrument for that as they provide a productive environment not only for the progress of the national ICT industry, but also for developing the different regions of the country. The three Presidential Initiatives are key building blocks of the sector’s strategy. The MCIT has a wide range of responsibilities as the every-growing importance of ICTs impact all sectors of the economy and the necessity to ensure digital skills and literacy spread across the population. Below, are the 9 priority areas of responsibility of the Ministry that also reflect the content and purpose of MENA Innovation 2018. 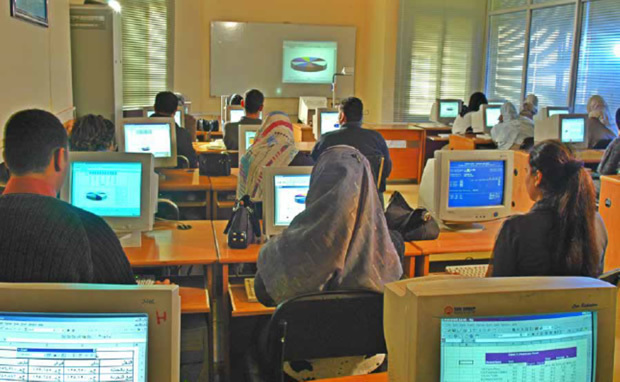 Egypt realizes that access to Information and Communication Technology (ICT) in education can help individuals to compete in a global economy by creating a skilled work force and facilitating social mobility and; therefore, is determined to promote the education system for the exchange of information and knowledge through various electronic applications, thereby raising the country’s competitiveness and moving toward the information society. Realizing the essence of integrating ICT tools in education and learning, the Ministry of Communications and Information Technology (MCIT) strives to promote and advance e-learning, a key factor for developing countries in terms of socioeconomic and economy growth. Realizing the prominence of human development, the Ministry of Communications and Information Technology (MCIT) and its affiliates are endeavouring to empower society members, particularly youth, and equip them with necessary skills and tools for a smooth transformation into a digital society. MCIT understands that promoting ICT industry capacity building is a central part for the advancement of Egypt’s national economy and, therefore, developed a number of programs and initiatives to cultivate skills of university students and employees of the industry. ITIDA is keen on building the capacity of Egyptian IT companies and attract and serve multinational IT companies; it offers programs on skills development for individuals and programs on performance enhancement for enterprises in the area of capacity building. The Basic Skills Development Training Program provides focused, hands-on and high-quality ICT training. It aims to raise youth awareness in gaining ICT knowledge and enhance their competencies in the use of personal computer skills, thereby opening more opportunities in the job market. Founded over two decades ago, the Information Technology Institute (ITI) provides world-class professional human capacity building programs, hands-on training and an exposure to the latest technology trends for university students and graduates, academia and professionals. Financial inclusion is an integral part of the country’s transformation. One of Egypt’s mega projects for accelerating the smart government project is the building of a national database. The aim of this database is to integrate valuable information to support the government in providing better services to citizens, and to facilitate business activities, with a special focus on building a proper safety net mechanism and therefore reduce the negative effects of the informal economy and fraud. In November 2016, Egypt Post and Visa Inc. signed a cooperation protocol to promote financial inclusion and the issuance of e-payment cards. Visa Inc. is to issue nine million cards for Egypt Post customers and pensioners, fostering the country’s efforts to improve financial transparency and provide distinguished services. Information and communication technologies offer many opportunities for innovation. In order to prompt the ICT sector advancement, the Ministry of Communications and Information Technology (MCIT) is endorsing innovation and entrepreneurship in the ICT-related fields. MCIT has taken note of the significance of establishing ICT centres of excellence in universities and local and international ICT companies. This is in addition to providing financial and marketing support for innovators and entrepreneurs. The country is now recognized as a leading regional hub for ICT-based innovations and entrepreneurship. Creating an enabling environment was the first priority. After came heavy government investment aimed at fostering young talent and honing their skills in areas of focus, such as embedded systems for AI, AR, robotics and the internet of things. Diverse programmes and learning schemes were put in place to build a strong base of specialists ready to meet global growing demand and to generate real value and opportunity. Egypt created six technology zones in various locations to spread enthusiasm for technology nationwide. Such technology clusters include house incubators, research and excellence centres. These efforts have resulted in collaborations between the Technology Innovation and Entrepreneurship Centre and global technology innovators. Many of today’s well-known entrepreneurs and flourishing start-ups have benefited from the ministry’s support. For example, the production facility for smartphone SICO is located in the Technology Zone in Assiut El Gedida. Innovation support programs for academia are critical for skills development; the generation, acquisition, and adoption of knowledge; and the promotion of entrepreneurship. A number of programs were designed to provide education and training in the area of innovation and entrepreneurship to university students in the areas of ICT. Is an undergraduate unique program in the area of innovation and entrepreneurship directed to university students in ICT specializations who are aspiring to be future innovators and entrepreneurs, either through establishing their own innovative start-ups or through manifesting skills that are highly required by local and multinational companies. A reform plan has been implemented to advance telecoms infrastructure, develop the regulatory environment and invest in human capacity. This plan strives to build a strong foundation for the technology industry to thrive. Additionally, under the supervision of the Ministry of Communications and Information Technology and executed by Telecom Egypt, an aggressive plan is currently under way to replace copper cables with fibre-optic ones. Moreover, the government has successfully rolled out 4G services aiming to provide high speeds to consumers and enterprises alike. Egypt strongly supports the expansion of giant data centres, aspiring to make the country a global hub. The Big Data for Development Initiative endeavours to develop a comprehensive geographical system for the country in order to assist in the planning and utilizing of services and to facilitate development and automation. The project is in line with the presidential initiative that aims to empower PwDs using ICTs. It targets equipping 3000 PwDs schools nationwide with ICT tools, specialized applications and programs, in addition to providing training to 30,000 teachers. The project maintains the 1000 Schools for PWDs Initiative, with phase I being completed in 2015. In 2016, 42 integration schools were equipped with devices and programs, in addition to supplying 141 special education schools with required devices, programs and networks. Moreover, 5400 teachers were trained on computer basics, unified sign language dictionaries and educational integration applications. Delivery of Tablets for Students with Disabilities: The tablets delivered to students had a number of supportive, educational and entertainment programs that matched each disability type. The most important program was the standardized sign language dictionary developed by MCIT, in collaboration with the Ministry of Education, to serve students with hearing disabilities. This is in addition to the speaking programs and the special education programs for persons with visual and mental disabilities. 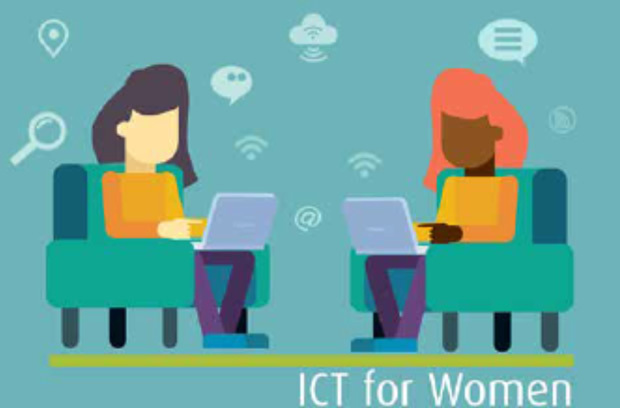 Serving as a one-stop shop for women interested in the ICT field, the “ICT for Woman” portal was launched in both English and Arabic versions. The portal aims at supporting females in the ICT field, benefiting from their abilities and helping them to overcome challenges. More precisely, the goal of the portal is to empower girls and women to enter the ICT field, through education, training or employment. The portal endeavours at raising capacity building, inspiring young women to choose their studies or careers in technology and creating job opportunities.